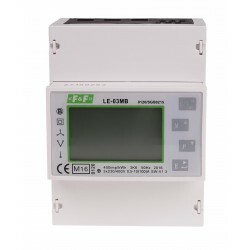 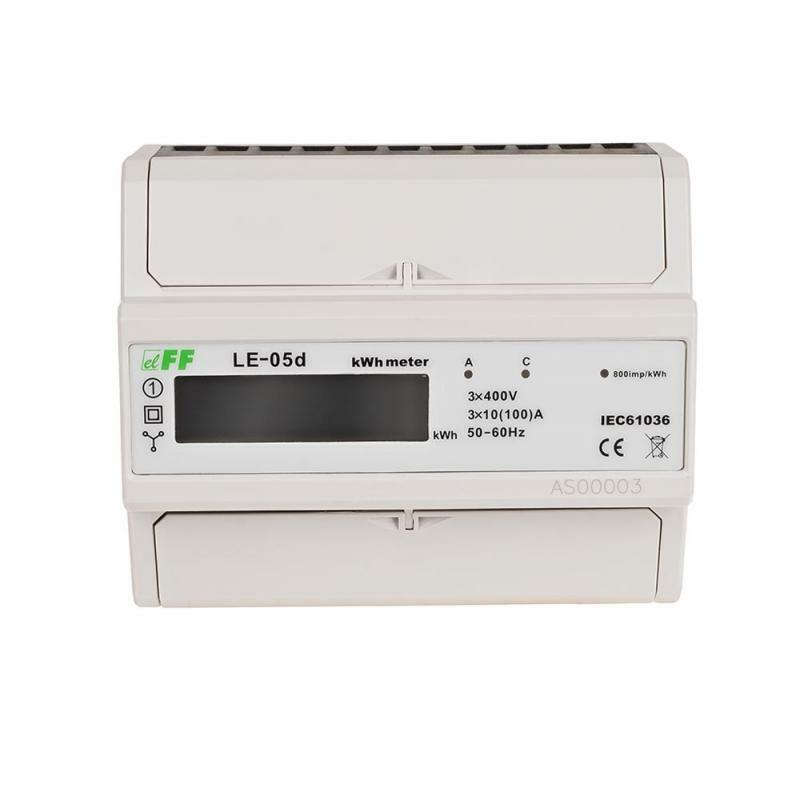 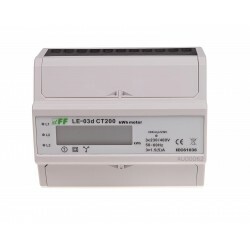 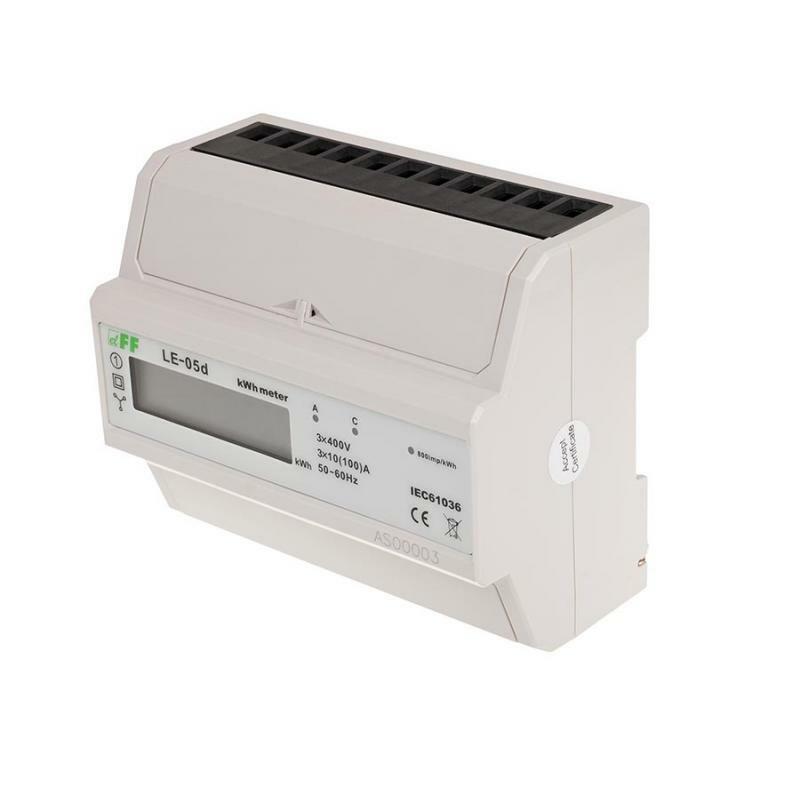 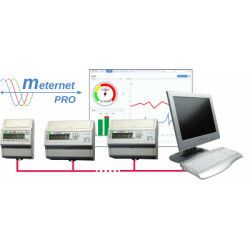 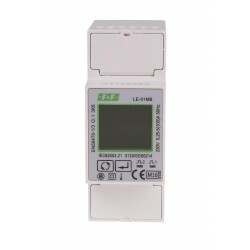 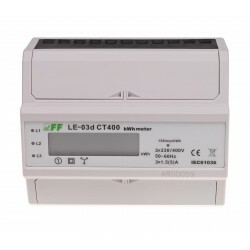 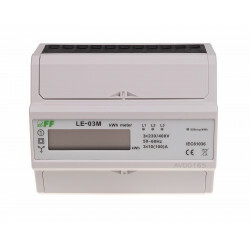 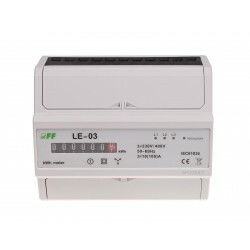 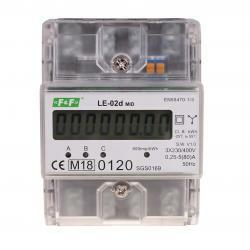 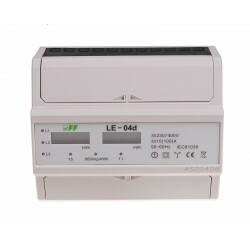 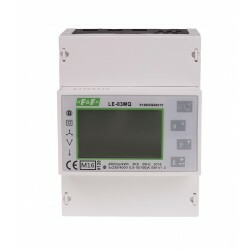 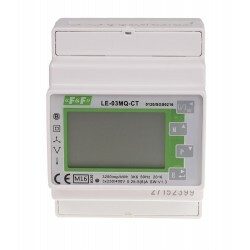 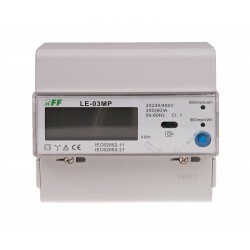 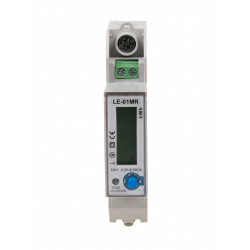 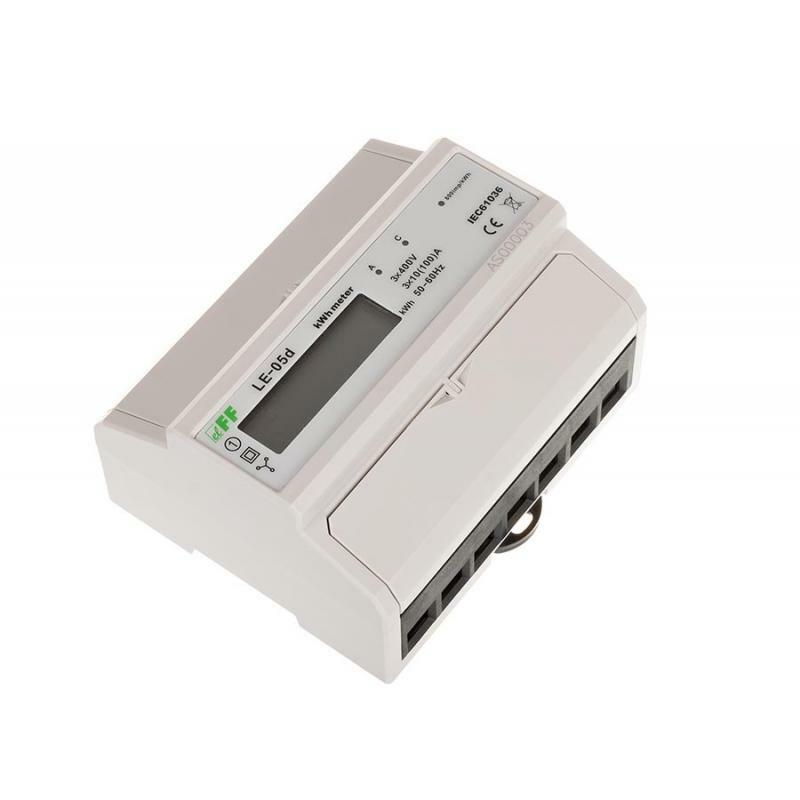 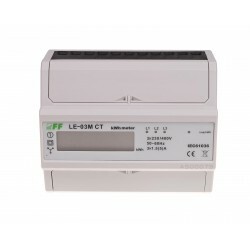 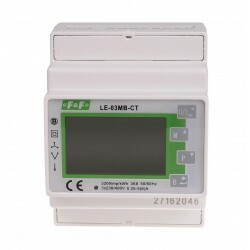 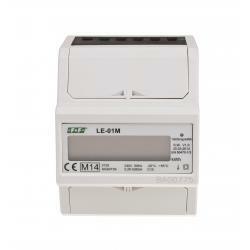 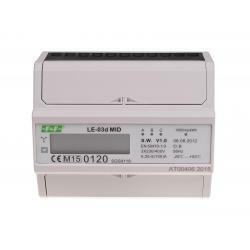 LE-05d is a static (electronic), calibrated meter of electricity consumption, which is used as sub-meter to the indications of consumed active electricity of the three-phase alternating current in the Aron's measuring system. 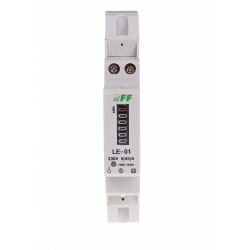 Special electronic system, under the influence of current flow and applied voltage, generates pulses in each phase in proportion to the electricity consumed in this phase. 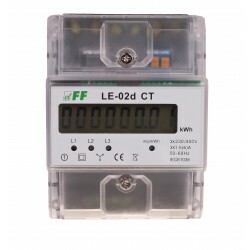 Energy consumption in phases is indicated by flashing LED A and C. The sum of the pulses of the three phases is indicated by flashing LED (800 imp/kWh) and is converted to energy consumed in the entire three-phase system, and its value is displayed by segment LCD display. 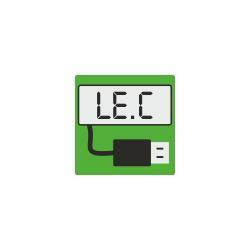 The number after the decimal is tenths (0.1 kWh = 100 Wh). 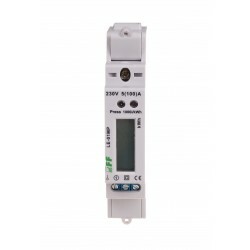 Indicator has a pulse output SO + - SO. 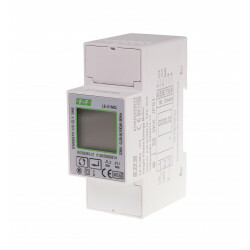 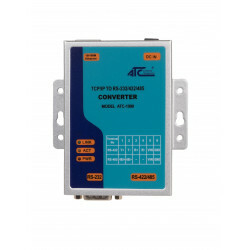 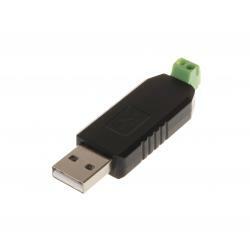 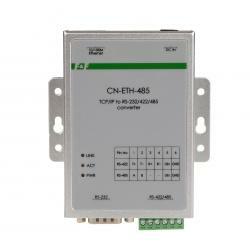 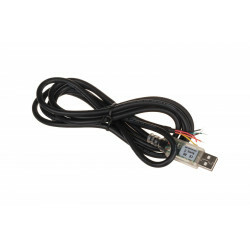 Indicators can seal covers of input and output terminals to prevent making the bypass indicator.